There are a number of business forms or structures, which are devised to undertake various types of activities, particularly the commercial activities. Different countries have different laws and legal provisions for establishing an artificial legal person like an organization or a business entity. They are also known by different names or nomenclatures in different countries such as limited liability company (LLC), professional limited liability company (PLLC), private limited company, public limited company (Plc. ), limited liability partnership (LLP), incorporated (Inc.), company, corporate, and so on. Notwithstanding the various and often confusing nomenclatures, the two main categories of legal entities are known as company and corporate. Company refers to the business structure or a legal form of organization. It has limited liability imposed on its owners as its basic feature. It is known by various names or nomenclature in different countries, for example, limited liability company (LLC), private limited company, public limited company, etc. It may have pass-through taxation benefit depending on the country. Most of the companies are formed for commercial and profit activities, but it is not a must. The legal provisions related to a company vary widely from country to country. In the US, company is identified with limited liability company (LLC), which has some characteristics or features of both a partnership as well as a corporation. It has pass-through income tax feature like a partnership, and limited liability feature like a corporation. It is much more flexible in comparison to a corporation. It is more suitable to a single owner business set-up. The owners of a with limited liability company (LLC) are known as members. The members have a limit on their personal liability related to the actions of the LLC including debt taken by it from outside entities. 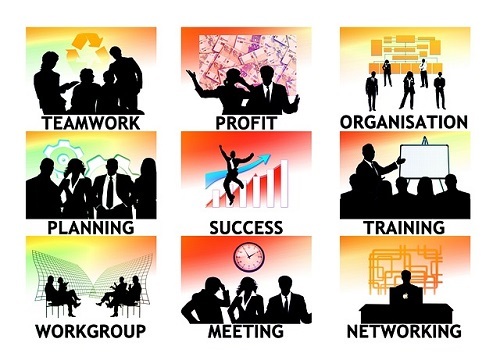 A Corporate is a business structure or a legal form of organization. It has a separate legal identity distinct from its owners. The owners of a corporate are called as shareholders. Corporate, as an artificial person, is solely responsible for its own actions, liabilities and debts. None of the shareholders is personally liable for the actions of a corporate. In most of the countries, the formation of a corporate involves an extensive legal work and fulfillment of strict legal criteria. This is due to the principle of corporate veil or the separate legal person status of a corporate from its owners, some of whom try to take undue advantage of this legal provision. Corporate raises the capital or funds by selling its stocks to the individuals or other legal entities. A corporate has a board of directors selected by the shareholders. It is the board of directors that manages the corporate and its operations on the top level, with day to day operations being carried out by the management headed by a president or CEO. Company and corporate both are a form of business organization. Both of them exist as an artificial legal person and have a separate legal entity status, distinct from its owners. Company and corporate both come into existence after extensive legal work. Both of them can hold physical assets and properties in their own name. Company and corporate both can continue to exist even after the demise of their founders and original owners. Both Company and corporate can be sued by other entities, persons, or the government; and in turn can sue others in their own name. Suitability: Company is suitable form of business organization or legal structure for smaller businesses or entities; while corporate is more suitable for larger businesses or entities. Owners: The owners of a company are its members; while the owners of a corporate are its shareholders. Limits of ownership: There are a limited number of owners/members in case of a company; while there are no limits on the number of owners/shareholders in case of a corporate. Legal Status: A company has a separate entity from its owners; but in certain cases like frauds, members or partners might be held liable; whereas a corporate has totally separate legal entity from its owners/shareholders. Management: A company has members or managing members of the company for management; while a corporate has Board of Directors, overseeing the officers and executives. Meeting: It is not mandatory for a company to hold meetings at regular intervals; while in case of the corporate entity, shareholders’ meeting is required to be held on a periodical basis such as annual meeting. The recording of minutes of the meeting is also needed. Legal requirements: A company has less legal requirements which are to be fulfilled; paperwork is also less in case of a company; while a corporate has to fulfill a lot of legal requirements, along with heavy paperwork. Names: A company is known by different names or nomenclatures in different countries such as limited liability company (LLC), professional limited liability company (PLLC), private limited company, limited liability partnership (LLP), company, etc. ; while a corporate is known as incorporated (Inc.), corp., S corporate, C corporate, corporate, public limited company (Plc. ), etc. Legal Agreements: A company has to have a lesser number of agreements which are required to meet legal obligations; while a corporate has a lot of agreements which are required for formation and continued existence as well as fulfilling various legal obligations. Taxation status: In case of a company, pass-through taxation is allowed. Profit or loss is to be passed through to the individual tax returns of the owners/members; while in case of a corporate, no pass-through taxation is allowed, resulting into double taxation. Accounts and records: A company has less elaborate accounts and records which are to be maintained, along with less stringent submission requirements; while a corporate has very elaborate and comprehensive accounts and records which are to be maintained, with timely submission to the government, regulators, and the stock exchanges on which a corporate is listed. Transparency: A company has less transparency due to the flexible and easy regulatory requirements imposed on it; while a corporate has high level of transparency due to the stringent regulatory requirements imposed on it. Public Trust: A company does not enjoy high level of public trust; while a corporate enjoys high level of public trust. Company and corporate are carried out separately by the different persons: internal employees and independent third party respectively. But, they are not opposed to each other. Instead, they are complementary. Company and corporate are two important forms of legal structures or business organizations. They have a separate legal entity status, distinct from its owners; and consequently continue to exist even after hundreds of years like many US and European companies or corporate e.g. Nestle, Ford, etc. 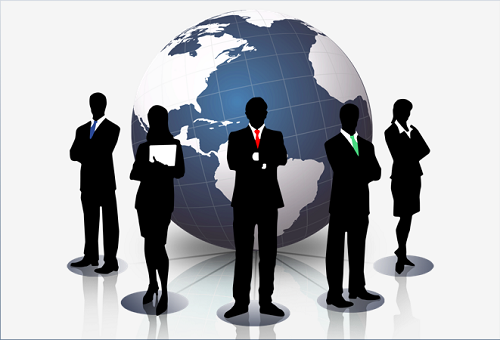 They are necessary for undertaking big projects and activities which require massive financial and human resources. Company and corporate have certain important differences in terms of legal status, owners’ liability, taxes, etc. Surendra Singh. "Difference between Company and Corporate." DifferenceBetween.net. October 24, 2017 < http://www.differencebetween.net/business/difference-between-company-and-corporate/ >. McCray, Richard A., and Thomas, Ward L. "Limited Liability Companies as Exempt Organizations." irs.gov. IRS, n.d. Web. 16 Oct. 2017. .
Larson, Aaron. "What is a Limited Liability Company (LLC)." expertlaw.com. Expert Law, 12 Jul. 2016, Web. 16 Oct. 2017. < https://www.expertlaw.com/library/business/limited_liability_company.html>. 3. "Limited liability company." Wikipedia.com. Wikipedia, n.d. Web. 16 Oct. 2017. .